Can we all take a moment to praise soup? Seriously, it just may be the perfect food. Think about it. It can warm up the coldest of dreary, winter days (Chicken & Dumplings). It can literally heal what ails you (Chicken Noodle Soup). Soup can help sharpen your cooking skills (French Onion Soup), transport you to a different season (Sweet Corn & Sweet Potato Soup), a different region (Shrimp & Andouille Sausage Gumbo), a different part of the world (Coconut Chicken & Shrimp Soup). 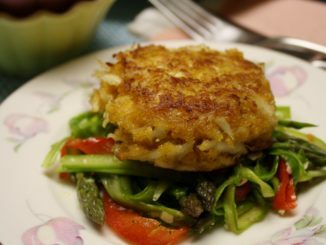 It can also be an easy and affordable way to get a one-dish meal on the table without a lot of fuss. 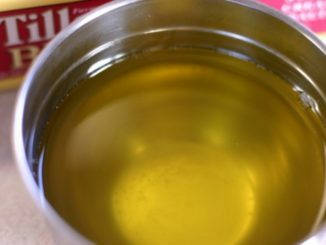 Here are five tips to help you make great homemade soups! 1. Don’t be afraid to experiment. 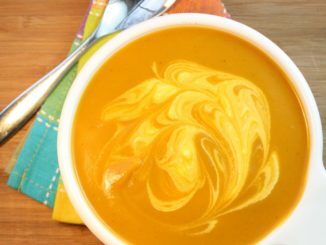 Soups are wonderful confidence-builders for cooks because unlike baking, where each ingredient must be measured precisely, soups are forgiving. Adding a little more or less of one ingredient or another typically won’t ruin your soup. 2. Load soups with leftovers. Make the most of leftover meat, poultry, veggies, pasta or rice by adding them to soups. Cut them into soup-friendly pieces, if necessary, and stir them in at the end of cooking, giving them just enough time to warm up. 3. Make them ahead. Most soups store well in the fridge or freezer so you can make them ahead and have a go-to dinner ready and waiting. If you’re making a milk or cream-based soup, cook the soup to the point just before the milk or cream is added. Cool to room temperature then place the soup in the fridge or freezer. When you’re ready to serve, bring soup to a simmer then stir in warm milk or cream to finish. 4. Freeze them. Make a double batch of your favorite soup and freeze half for later. Place room temperature soup in an airtight plastic container or in a resealable, plastic freezer bag. (Use smaller bags to freeze individual portions.) Thaw frozen soups in the fridge overnight, then bring to a simmer on the cooktop and serve. Frozen soups taste best if used within 3-4 months of freezing. 5. Garnishing. Consider garnishes a finishing touch, one last step to serving a soup that’s a treat for your taste buds and eyes. Choose garnishes with flavors that will complement those in your soup. Think fresh herbs, chopped, toasted nuts, croutons, grated cheese or a dollop of sour cream or creme fraiche. 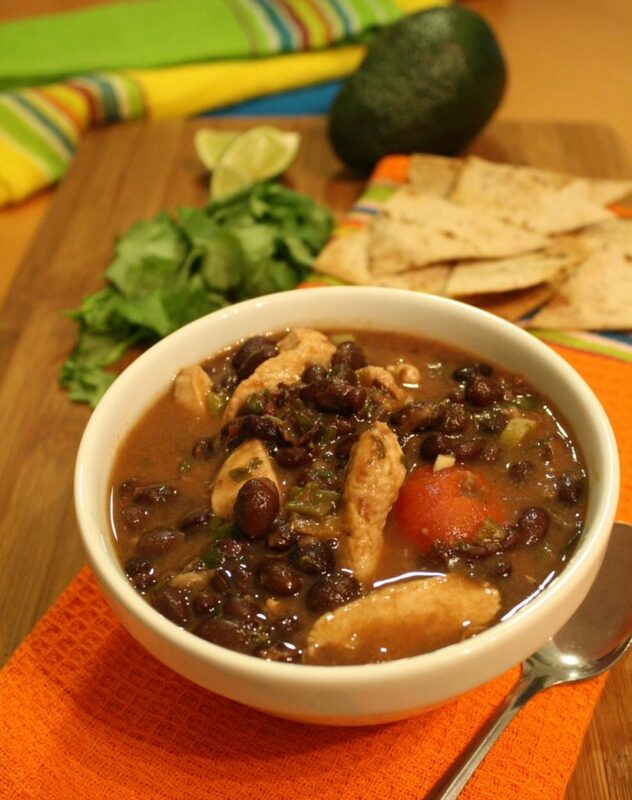 I like to add a little diced avocado to garnish this simple and filling Chicken and Black Bean Soup. Combine chicken broth, stewed tomatoes, garlic, cumin and red pepper flakes in a large pot or Dutch oven. Bring to a boil, then reduce to simmer for 5-10 minutes. Stir in the chicken and cook 5 minutes. Add black beans and cook, stirring occasionally, for until chicken is cooked through, another 5-10 minutes. Once chicken is cooked through, stir in green onions, cilantro and lime juice. Season to taste with salt and pepper and serve.